Microsoft from day one has insisted that its Xbox One is more than just a traditional gaming console. To the Redmond-based technology giant, it's a full-on entertainment hub and has been marketed accordingly. The Xbox One launched with an HDMI pass-through that lets users connect their cable or satellite set-top box to the system to utilize its digital programming guide but that's only the beginning. 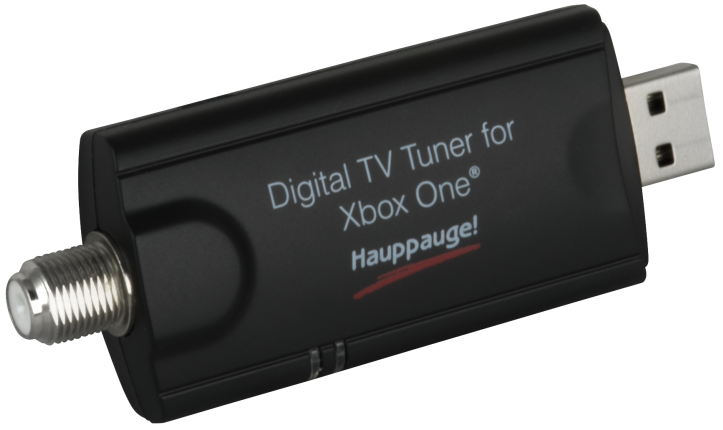 Roughly a year ago, Microsoft partnered with Hauppauge to launch the Hauppauge Digital TV Tuner for Xbox One, a USB dongle that can be used in conjunction with an antenna to watch live over-the-air (OTA) broadcasts on the console absolutely free. One of the shortcomings with the OTA approach on the Xbox One, however, is the fact that you still can't record and save live broadcasts. Microsoft acknowledged the issue last August, confirming that the long-rumored Xbox One DVR was indeed in development and that it would be released sometime in 2016. 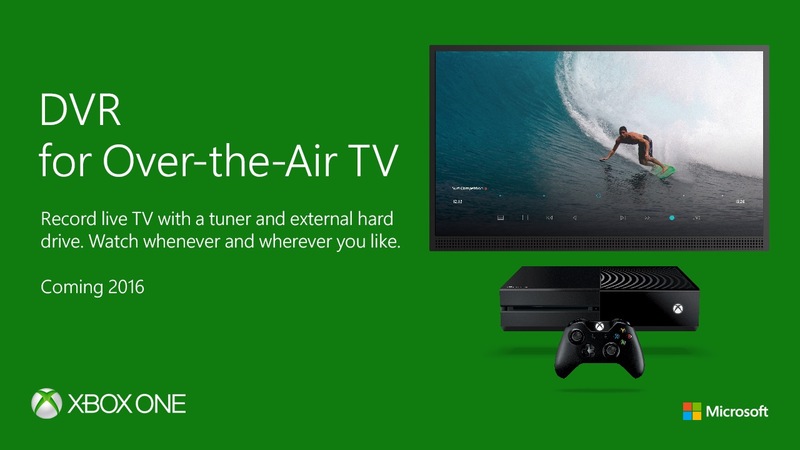 According to Paul Thurrott, Microsoft is now testing its Xbox One TV DVR functionally internally. Sources familiar with the matter tell Thurrott that an update for the console, referred to internally as Xbox One Threshold Beta 1603 System Update or th2xboxrel_1603.160308-1900, allows it to record OTA broadcasts. The looming feature is even said to work while playing a game, watching live TV or even when the machine is asleep. Being able to record live OTA broadcasts may not sound like a huge deal (especially to cable or satellite subscribers) but for cord-cutters and cord-nevers (those that have never subscribed to paid television), it's an incredibly attractive proposition that can supplement existing over-the-top (OTT) content from services like Hulu, Netflix, Sling TV and more. There are a handful of OTA DVRs already on the market but some are rather expensive up front while others, like the TiVo Roamio and TiVo Bolt, require a monthly service fee. If you already own an Xbox One, the only additional hardware you'll need to watch and record live OTA TV is the aforementioned Hauppauge TV tuner (around $60) and a quality antenna. Some initially criticized Microsoft's decision to focus so heavily on the entertainment aspects of the console, fearing that gaming would become an afterthought. In hindsight, however, I think most would agree that Microsoft made the right move. It would have been convenient had the console shipped with a couple of integrated OTA tuners but considering a large segment of the population probably wouldn't have used it, it made sense to omit it for the simple sake of keeping costs down. Outside of paid TV, fragmentation is a very real issue that cord-cutters and cord-nevers continue to deal with. 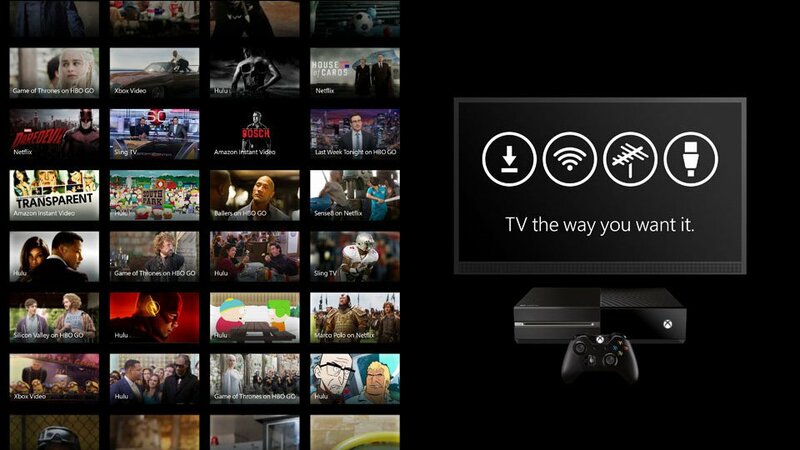 Adding an OTA TV DVR to an existing media hub like the Xbox One makes it that much more well-rounded. No word yet on when exactly Microsoft plans to push out the DVR-enabling update. Having an issue with my cable company, and the fact that freeview isn't free with anyone these days, I like this, but is it enough to make me buy one? A Media hub, where Amazon fire tv / plex combo is the best to date. All well and good--except that one of the reasons people are purchasing more PS4 consoles is that the media hub functions hogtied the gaming side of the console. In terms of gaming, the PS4 performs and looks better than the Xbox One. Was it worth the sacrifice? I guess it depends on who you ask. The standard console has too small a hard drive for this to be much use. I don't have many games installed, but the disk is already nearly full. 9Nails, OortCloud and Netnow66 like this. It was once quite easy, I did a build for someone a few years back (Windows 7) and you could buy a TV Tuner and it would talk to Media Center and it was wonderful and super easy to use. Microsoft would download all the TV listings so it had a nice functional EPG and it would let you record TV as well. Then Microsoft got rid of Media Center (or at least, got rid of this functionality) claiming no one used it. I'm sure these days TV Tuner Cards are packed with software that can replicate similar features though. I see. Cheers for the info. I don't know where you have been but Kodi beat the hell out of WMC and is on all desktop platforms. So much better in all aspects. As I said, I did ONE build for a friend who wanted his PC to do these things. Personally I don't see the point, over the air shows in the UK are mostly terrible and any of the good ones you can catch up on via the channels catch up online services. What I ended up learning the hard way is that Intel setup some annoying authorization thing with HDMI so I couldn't output from my top box to a capture card. Yes and no. It does so many things better but it still lacks on others. For example, forced subtitles in Blu Ray disks. It doesn't handle them at all. Which track is the go-to track, display forced or all of that track (can't do just forced in any form). This is the same for DVDs too. I've had this issue for years with XBMC and now KODI. They haven't fixed it yet. So I use external players for everything. VLC on Linux and MPC-HC and WinDVD on Windows. It does have that ability to handle external players and done so just fine. So I load up the disk and then the player picks up proper titles without an issue. The default player in now KODI default is to enable all subtitles and play the first one, regardless of the actual system's settings. To be fair, I gave up trying to check for a fix about a year ago but for many years, it had never changed. I just stick to the external players. That said, it is the best media organizer I've found so far although still holes there too. But it's better then anything else available. I stopped paying for cable TV a loooong time ago. I get everythingi need online. I think it was worth it, and thats coming from strictly a gamers perspective. All this other stuf is nice but in my opinion after owning a PS4 for several weeks and returning it, I still feel the Xbox does all the social and online aspect of gaming alot better. Sure, we're usually 900p vs 1080p but the fact is its still just as good for a console, usually if Sonys pushing 60FPS for games, odds are Microsoft is aswell. The resolutuion with upscaling isnt the worst albeit native 1080p would be nice. My Xbox one is maybe used for streaming media or TV probably 4-5 hours a week and my kinect is rarely ever used. The entire gaming setup is at my desk with a 24" 1080p monitor so consuming media is left to my Roku in the living room. Still as a day one user I say $500 was well worth it.